Services - Hospice Miramichi Inc.
For more information on these program please contact Hospice through the Contact Us form located at the top of this page or through one of the means listed at the bottom of the page. Our services unfortunately do not run themselves. If you are interested in volunteering with Hospice Miramichi, please click below for more information. The Hospice Outreach Program was introduced to the community in June 2013. Our volunteer in-home practical, non-medical support services are offered to families who are living with the effects of life limiting illnesses whether or not they have a limited life expectancy. These support services may improve the quality of life for the individual as well as respite for their family and include a variety of non-medical support services. Volunteers with the Hospice Outreach Program work within the community to provide practical care and support for clients and families in their homes, in nursing homes, hospitals and residential care facilities (special care homes.) The services are provided at the time the person receives the diagnosis of a life limiting illnesses or at any time there is a need during the illness trajectory. The Day Hospice Program, the first of its kind in the province of New Brunswick, was introduced to the community in July 2016. This program provides diversion, support and respite to individuals and their families. The program is currently available up to 2 times a week to those living with the effects of life-threatening illnesses through self-referral or referral from family physician or health care provider. Snacks and lunches are provided free of charge. Activities for the Day Hospice Program may include art, music, massage, chair yoga and recreational activities including cards, puzzles, reading and letter writing. Hairdressing is available on occasion. Professional staff will be on site and available to discuss client issues and concerns. 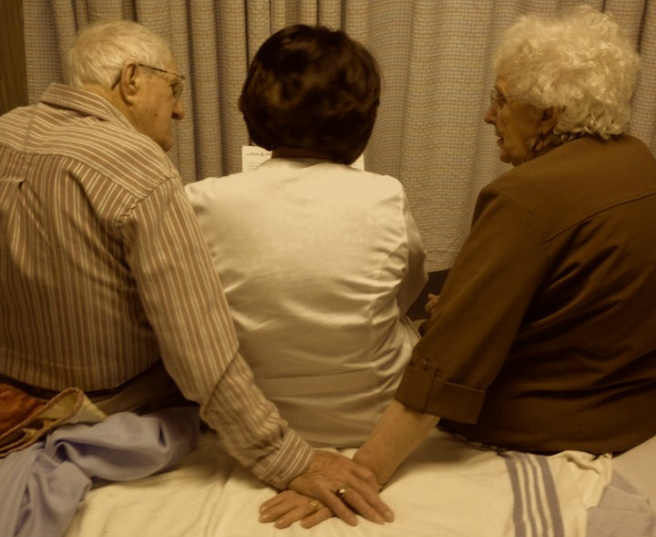 The benefit of the Day Hospice Program is two-fold. The individual’s participation in the program, not only provides respite for the family, but also more importantly, the person will receive compassionate companionship and support from volunteers, and others going through similar situations. The Day Hospice Program is also able to accommodate those individuals with breathing difficulties, allowing them to fully participate in the scheduled activities. The Day Hospice Program will provide a sense of normalcy for clients experiencing life limiting conditions and perhaps, for a few hours each week, the person may be able forget about their illness. The next step for Hospice Miramichi is to establish a 6 bed community based Residential Hospice (RH) facility. Construction of the new facility is scheduled to begin in 2019. Once RH is open to accept patients, Hospice Miramichi will follow the lead of other similar provincial hospice organizations in negotiating with the provincial government to provide a percentage of the operational funding. Once admitted to the facility, the patients will receive 24 hour end of life care in a home like environment delivered by licensed professionals with volunteer assistance. All staff and volunteers will be trained in the provision of palliative care. Hospice Miramichi will provide an alternative location for those individuals in the last 3 months of life who, for whatever reason, are unable to remain at home to receive their end of life care but do not wish to die within an institutional setting. Hospice Miramichi will also offer a two week respite service designed to assist family caregivers needing a break from the stress of looking after a loved one at home. All services with the exception of respite care will be free or at minimal cost to the individual. Donations however will be gratefully accepted. Our service is meant to enhance the care that is already being provided through the formal care giving agencies and will not replace existing services. We are happy to offer a grief and bereavement support group to the community twice yearly. The next session will be offered in the fall of 2018. For more information or to register now, please call us at (506) 773-7607 or email Connie. Hospice Miramichi would like to thank Dici & Inez Chase for allowing the use of the photo located at the top of this page. Ten days after this photo was taken, Edgar passed away peacefully surrounded by his loved ones. The work that Hospice does is dedicated to the moments and memories like the one captured in this photo.